Many people may wonder if they qualify for an IRS audit reconsideration. For those that don’t know, an IRS audit reconsideration is when the Internal Revenue Service reassesses the outcome of a previous audit. This is typically something a taxpayer applies for because they believe the IRS has made some sort of mistake in a previous audit. This can be an audit involving either unpaid taxes, the reversal of a tax credit or really anything else. The Internal Revenue Service decides which audits it will review again. In the guide, we will discuss the circumstance in which you may qualify, the requirements to apply and what the possible outcome could be for you. How To Qualify This is what the IRS mostly looks for when deciding to reassess an audit; any sort of error in processing on the Internal Revenue Service’s end, an original delinquency return that was filed after a resulting SFR procedure or an assessment made without certain key information considered by the IRS. These are not the only circumstances, but these are the ones that the IRS is most likely to consider. How To Not Qualify Those that will typically not qualify for the IRS Audit Reconsideration program are anyone who entered into a final decision with the tax court, anyone who applied for a reconsideration request and didn’t provide any more information or anyone who made a compromise under Sec. 7122. Requirements An IRS audit reconsideration request is definitely something that you want to do and go over with your certified tax accountant. They can help guide you towards the proper process of applying for a reconsideration request. To apply, you will need to submit several different documents. The main one would be a statement of your case. This statement will detail what you believe needs to be corrected and why. To help improve your case and the chances of the IRS siding with you, you should include any information you have that supports your argument be it bank statements, tax forms and anything else. Possible Outcome Waiting for an outcome from an IRS audit reconsideration request can sometimes take a while. In some cases, up to seven months. When you do finally get a decision, the IRS will communicate what it’s decision is and why. If you disagree with the Internal Revenue Service’s decisions, you do have the option to meet with the Appeals Office. 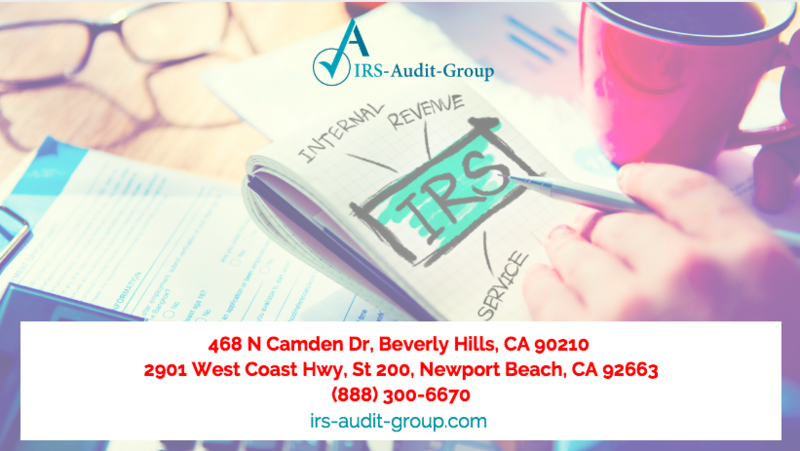 For information regarding how you can complete an IRS Audit Reconsideration Request, contact our team at IRS Audit Group in Newport Beach or IRS Audit Group in Beverly Hills. We can assist you with all of your tax needs and guide you through the process so you get the best possible outcome.